On Saturday May 16, 2015 at 12pm we’ll be releasing one of the most anticipated Dunks for the year. 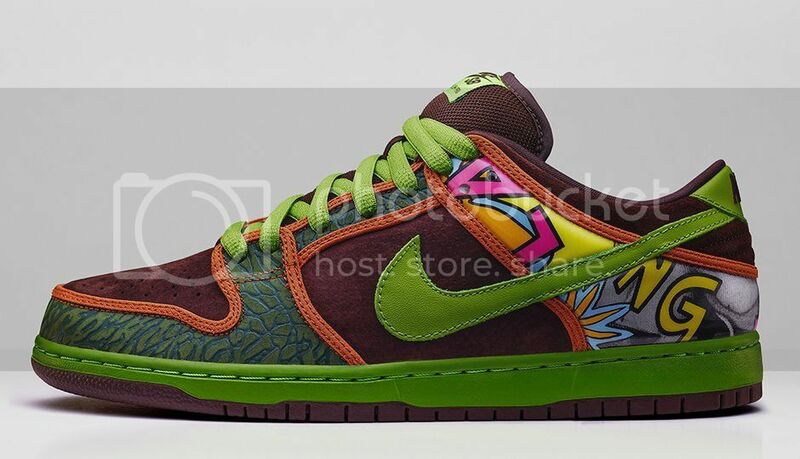 The fourth and final installment of the De La Soul Dunk comes in form of a Dunk Low inspired from the Dunk High of 2005, the quality and detail on these is that of the dunks from the time. As usual these are first come first serve, 1 pair per customer. Supply is low and demand is high. The phone has been off the hook daily for these. These are an in-store only release. Thank you for your continued support. This entry was posted in Featured, News and tagged De La Soul, Nike Dunk Low, Nike Dunk Low SB, Nike Quickstrike, NIKE SB, Seasons. Bookmark the permalink.